Sorghastrum nutans is a dominant grass in the tallgrass prairie in North America. This species is a perennial, warm-season bunchgrass. Reproduction. S. nutans reproduces both by seed and rhizomatously. Wind pollinated. Like other grasses, S. nutans is pollinated through the wind. Phenology. S. nutans, a warm-season grass, tends to flower in mid July, with seeds ripening in late summer. 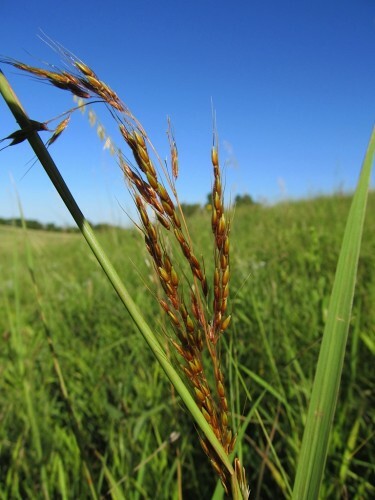 The USDA plant profile page for Sorghastrum nutans.